I just found out about this book last week. It sounds a little like Holly Black's Tithe series to me, anyone else think so? I mean that as a compliment, I loved that series!! I won this from Kristina at The Cajun Book Lady, the book was sent by Grand Central Publishing. I was so excited to win this one!! I've been waiting to read this book since it came out and now I can just in time for the movie release! Thank you!! I won this from Alyssa, Jake, and Gregory at Teens Read and Write!! 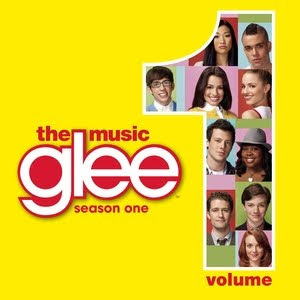 The cd is awesome, I love the songs and this show! I can't wait for the new "season" to start in April. Thanks so much!! There's been a lot of debate around the blogosphere this week about IMM, do you feel like it's a good post?? I really think IMM is a great way to give a shout out to the awesome bloggers who have sponsored contests that I have won. Hopefully I can give their blog some traffic through my post, just as another way of saying "Thank you!" I also think it's a way to give exposure to a book that a publisher has sent for review. After all, that's why they send us books, right? To get exposure? Of course I'm still going to write a review when I'm finished, but a lot of times the IMM posts get more traffic than a review post. What do you think about IMM??? "Alice in Wonderland and Philosophy: Curiouser and Curiouser"
Athena Smith, the costume curator for a Chicago museum, is elated to finally see the legendary vintage gowns worn by a city icon, Bertha Palmer. But the gowns are owned by the Clayworth family, who are not on good terms with Athena's family. The Clayworths just fired Athena's father from their company for unknown, but scandalous, reasons. So Athena has little hope of gaining the gowns for an exhibition at the museum. While looking at the gowns, she inhales a toxin which acts as a truth serum. Wh...more This collection of essays is a fantastic addition to any "Alice in Wonderland" fan's collection. These are scholarly essays, and even though they are easy to read, don't expect fluff stories that were thrown together to feed off of the recent Tim Burton movie release. These are highly researched and well thought out studies of the original book. 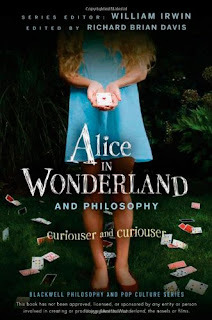 Some of the essays, I loved and would give 5+ stars to, but my rating is for the book as a whole, which did sometimes seem repetiti...more This collection of essays is a fantastic addition to any "Alice in Wonderland" fan's collection. These are scholarly essays, and even though they are easy to read, don't expect fluff stories that were thrown together to feed off of the recent Tim Burton movie release. These are highly researched and well thought out studies of the original book. Some of the essays, I loved and would give 5+ stars to, but my rating is for the book as a whole, which did sometimes seem repetitive. The book is separated into four parts, each with essays that related to each other in topic. There are 14 essays in all, and reading all the essays back to back made the content seem repetitive to me. I think I would have enjoyed this book much more if I had only read a few at a time. My favorite essay was "Unruly Alice: A Feminist View of Some Adventures in Wonderland" by Megan S. Lloyd. Lloyd gives strong examples of how Alice can be seen as a feminist icon. Some of her examples I had noticed before, but some were new to me and fascinating. Another essay that stood out was "Jam Yesterday, Jam Tomorrow, but Never Jam Today: On Procrastination, Hiking, and...the Spice Girls?" by Mark D. White. Not only was the content of this essay strong, but the way that it was written was so appealing! I feel like White really embraced the nonsense that is Wonderland and he wrote the entire essay in that style. I also enjoyed the comparisons of Carroll's work to Socrates. The authors point out that Carroll did study Socrates so these nods to his philosophy were no accident. I learned another biographical fact of Carroll that I hadn't known, that he suffered from migraines and that contributed to his writing about distorted reality (from the Scott F. Parker essay). Bottom Line: I would definitely recommend this book to a fan of Alice in Wonderland. The book helped me understand the book in ways that I never did before. I only would have preferred to read the essays over a longer period of time so that the content wouldn't overlap so much. I'm eager to read some of the other titles in the Blackwell Philosophy and Pop Culture Series. It's Friday, which means it's time for another Book Blogger Hop!! 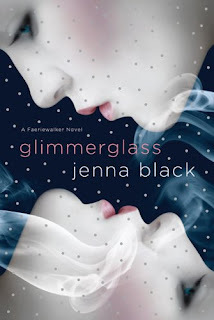 Check out Jennifer's page, Crazy-for-Books, and enter your link and check out some of the other book blogs out there!! I've been able to find some great new blogs to read!! So join the fun and spread the word about this new event!! 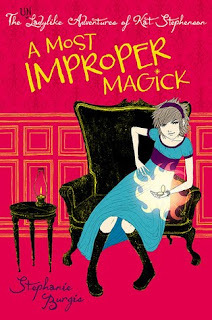 Her m other was a scandalous witch, her brother has gambled the whole family into debt, and her Step-Mama is determined to sell her oldest sister into a positively Gothic marriage to pay it off--so what can twelve-year-old Kat Stephenson do but take matters directly into her own hands? If only her older sisters hadn’t thwarted her plan to run away to London dressed as a boy and earn a fortune! When Kat makes a midnight foray into her mother’s cabinet of secrets, though, she finds out something she never expected. Her mother wasn’t just a witch, she was a Guardian, a member of a secret Order with staggering magical powers--and Kat is her heir. Of course, there’s no chance of Kat choosing to join the Order that forbade her parents’ marriage...but Mama’s magical mirror doesn’t seem to understand that. It keeps following her wherever she goes, even when the family travels to Grantham Abbey to meet the sinister Sir Neville, her oldest sister’s chosen fiancé. And what with Sir Neville showing a dangerous interest in Kat’s untapped powers, her mother’s old tutor insisting that she take up her mother’s position as a Guardian, and her sister Angeline refusing to listen to her about anything, *as usual*...well, it’s a good thing Kat kept her boy’s clothing, because she may well have to use it--especially if the rumors of a highwayman are true. This one looks like a great escape book!! A little bit magical, a little bit gothic, it sounds great!! And the cover is so cute and fun!! 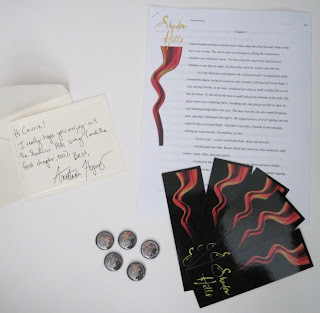 I won this in a contest from Anna at Anna's Book Blog. The book was sent from the publisher! 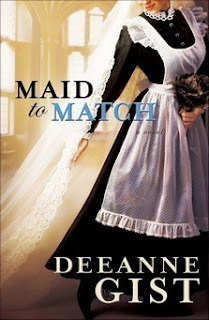 I love historical romance and I can't wait to read this new one!! Thanks, Anna and Sourcebooks! I won this book from Michelle at Michelle V's Blog. The book was sent and autographed by the author! Roseanna also runs a great blog at Writing Roseanna!! I've just started this one and so far it is fascinating!! Thanks Michelle and Roseanna!! I won this in a Goodreads First Reads Contest from Zondervan Books. This one was so cute for tweens!! This book was sent to me from Julie at FSB Media. I can't wait to read this one, I've always been a fan of Alice, especially after seeing Tim Burton's version!! Thanks, Julie and FSB! Athena Smith, the costume curator for a Chicago museum, is elated to finally see the legendary vintage gowns worn by a city icon, Bertha Palmer. But the gowns are owned by the Clayworth family, who are not on good terms with Athena's family. The Clayworths just fired Athena's father from their company for unknown, but scandalous, reasons. So Athena has little hope of gaining the gowns for an exhibition at the museum. While looking at the gowns, she inhales a toxin which acts as a truth serum. Wh...more Katy is the only teenager in her Mennonite community who wants to extend her education past the required 9th grade. She is given special permission to attend the public high school, but will she be able to keep her faith while exposed daily to "worldly" things and experiences? Katy's mother left the Mennonite faith when she was little, and that meant she left Katy and her father too. Katy worries that by being exposed to "worldly" things, she'll follow in her mother's footsteps, hurting her father and grandparents. "Katy's New World" is a great story for young teens. 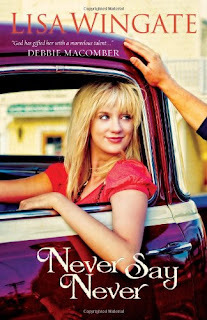 Katy is high school, but this book is geared more to younger teens and tweens and their issues. At first, I was skeptical about this one because it seemed a little cliche, but once the characters were developed, I was really drawn in. Katy's relationships with her old friends, her new friends from her new school, and her father are carefully written and realistic. At her new school, Katy realizes that not all "worldly" things are bad. She quickly makes friends with Shelby, the daughter of a preacher. Sometimes, Shelby proves to be a better friend to Katy than her friends from the Mennonite community. Katy struggles trying to balance her two worlds, and the result is that she feels like an outsider both at school and in her community. Katy overcame challenges to her faith and she does make mistakes. However, she learns from her mis-steps and in result she makes a choice, a decision, instead of blindly following along with what she is told to do. Bottom Line: This was a great book for tweens, with rich characters and honest feelings about fitting in that all young people feel. Check out the Book Blogger Hop!! Athena Smith, the costume curator for a Chicago museum, is elated to finally see the legendary vintage gowns worn by a city icon, Bertha Palmer. But the gowns are owned by the Clayworth family, who are not on good terms with Athena's family. The Clayworths just fired Athena's father from their company for unknown, but scandalous, reasons. So Athena has little hope of gaining the gowns for an exhibition at the museum. While looking at the gowns, she inhales a toxin which acts as a truth serum. Wh...more "Never Say Never" was so much more than what I expected! I thought it would be fluffy chick lit, but it was a meaningful, heartfelt story of two women flung together during a natural disaster. Bottom Line: I loved this inspiring and hopeful story! Even though the book deals with tough subjects, it's done with hope and humor and never feels melancholy or sad. I recommend this book to anyone who enjoys women's fiction and I'll definitely read more from this author! “Evangeline,” he repeated, calling at a whisper. “Evangeline.” He was not calling that she may hear, he was calling that somehow her soul might know that he was devoted entirely to her, only to her. “Evangeline, I will find you.” Eva and Gabe explore the golden forest of their seaside Maine town, unknowingly tracing the footsteps of two teens, Evangeline and Gabriel, who once lived in the idyllic wooded village of Acadia more than one hundred years ago. On the day that Evangeline and Gabriel were be wed, their village was attacked and the two were separated. And now in the present, Gabe has mysteriously disappeared from Eva. 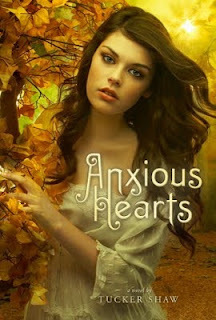 A dreamlike, loose retelling of Henry Wadsworth Longfellow’s famous love poem “Evangeline,” Anxious Hearts tells an epic tale of unrequited love and the hope that true love can be reunited. This one looks so dreamy and romantic! As soon as I saw this one I knew I had to read it!! And isn't the cover beautiful! I can't wait! What book are you waiting for this week?? I won this in a contest from Lizzy at Historically Obsessed!! The book was sent from the publisher! I've been hearing wonderful things about this re-imagining of Romeo and Juliet. Thanks, Lizzy and Penguin/New American Library!! Anastasia Hopcus sent the first chapter of her upcoming release, "Shadow Hills." She included a lovely note to me and she also sent some awesome buttons, magnets, and bookmarks!! I can't wait to read it and I'll let you guys know how the first chapter is! Thanks, Anastasia!! 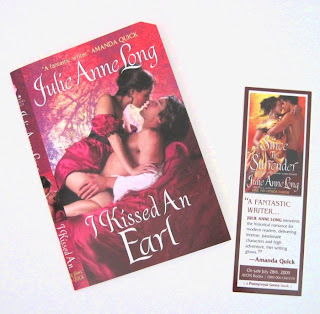 Julie Anne Long sent this gorgeous cover flat for her July release, "I Kissed an Earl." She was kind enough to autograph a bookplate on the inside!! I can't wait for the book to be released! Thanks, Julie! 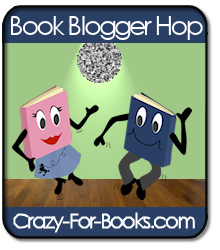 Jennifer at Crazy-for-Books has started a brand new weekly Friday event called the Book Blogger Hop!! You can visit her site to check out lots of book bloggers and add a link to your own site!! I see lots of great blogs that I regularly visit as well as tons of new ones that I can't wait to check out! !So spread the word and go check it out!! Enjoy! Athena Smith, the costume curator for a Chicago museum, is elated to finally see the legendary vintage gowns worn by a city icon, Bertha Palmer. But the gowns are owned by the Clayworth family, who are not on good terms with Athena's family. The Clayworths just fired Athena's father from their company for unknown, but scandalous, reasons. So Athena has little hope of gaining the gowns for an exhibition at the museum. While looking at the gowns, she inhales a toxin which acts as a truth serum. 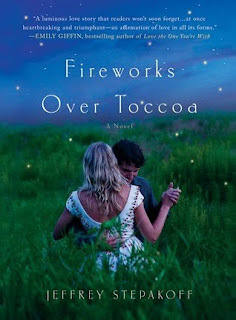 Wh...more "Fireworks over Toccoa" is a well-paced love story destined to be on the big screen. The author definitely makes use of his script-writing and producing credits because this book clips right along at the fast pace found in movies and television. In her 80's, Lily isn't sure her granddaughter Colleen is as happy in her relationship as she wants everyone to think. When the two ladies find a long lost formula for a firework called Lily's Star, Lily decides it's time to share her own story. In 1945, 20 year old Lily had been married to Paul, the type of man she'd always been expected to marry. Paul was returning home from WWII in a few days and Lily was starting to feel uncertain about the future she'd always felt was decided for her. Then she saw the fireworks that would change the course of her life forever. Once she meets the man behind the fireworks, Jake, her world and her heart flip upside down. The tone is bittersweet and it makes the reader search his or her own soul and ask what they would do in the same situation. I don't think I would have made the same decisions as Lily, but I did reflect on what I would have done in her place. I don't think I was as able to fully invest myself in the romance because my heart was breaking for her husband, Paul. Perhaps I wouldn't have felt that way if Paul had been a bad person, but the infidelity aspect did make me sad. I probably would have given this book more stars if Paul had been a poor husband or possibly if they hadn't been married yet when he was overseas. Lily's character is very complex and I felt like I could really relate to what she was going through. She didn't want to be a bored society wife and she especially didn't want her life decided for her. She wanted to get out and see the world on her own terms. I liked the timeline of the story a lot. The story is told by the older Lily to her granddaughter, Colleen. I feel like it added interest to the story. I enjoyed being able to see see the outcome of the romance 60 years later, although I did keep thinking of the older Rose in "Titanic" telling her own story. 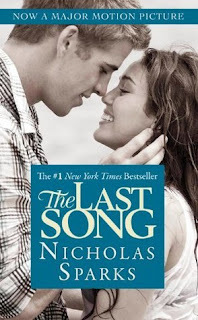 The rumors about this book compare it to a Nicholas Sparks novel, and the story is slightly reminiscent of Sparks. But I felt like this was only in the romantic theme and quick pace. Don't expect a Sparks clone here, this novel isn't as 'goody two-shoes' as his novels are seen to be. Bottom Line: Lily and Jake's love story is beautifully told and really pulls at the heartstrings.. The novel is a quick read and the fast paced twists and turns will keep you turning the pages. Sweepstakes Info from St. Martin's Press!! While you're there, check out a huge excerpt from the book, an audio excerpt, and a note from author, Jeffrey Stepakoff! Enjoy!! The author has just posted an exclusive excerpt on her site here! I can't wait for this one!! I just finished a short story by Emily Bryan in "A Christmas Ball" that featured a maid falling in love with a footman, and I just loved the plot!! It's so different than they typical historical romance with the aristocracy. Does anyone know of any other books with this type of theme? I'd love any suggestions that you have, especially historical romance!! A great romance set in 1940's America during WWII! 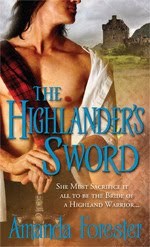 This story was my first historical romance by Mary Balogh and now I can see what all the fuss is about over her books! Amazing! I won this in a contest from Roseanna at Writing Roseanna!! The book was sent from the author and was even autographed! Thanks, Roseanna and Margaret! I won this in a contest from Miss Eliza at Strange and Random Happenstance, along with a gorgeous carnelian necklace!! 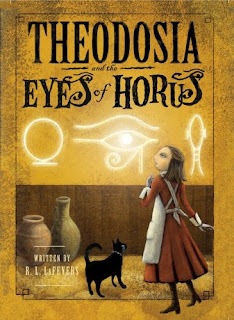 The book is the ARC of the third installment of the Theodosia Throckmorton series. Thanks, Miss Eliza! 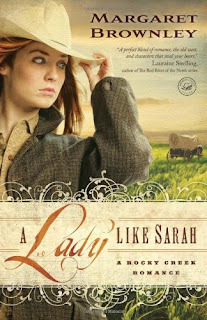 This is a great romance set in the 1940's and was sent to me for review by Sarah at St. Martin's Press. Thanks, Sarah! This story looks so good and it's been getting great reviews! 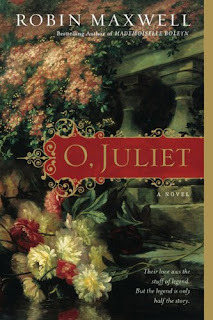 I received this book for review from Bethany House publishers. Thanks! Athena Smith, the costume curator for a Chicago museum, is elated to finally see the legendary vintage gowns worn by a city icon, Bertha Palmer. But the gowns are owned by the Clayworth family, who are not on good terms with Athena's family. The Clayworths just fired Athena's father from their company for unknown, but scandalous, reasons. So Athena has little hope of gaining the gowns for an exhibition at the museum. While looking at the gowns, she inhales a toxin which acts as a truth serum. Wh...more Blake Mallorey holds a lifelong grudge against Charles Ashton. It's his fault that Blake's family was sent to the poor house, ultimately where his parents and sister met their untimely end. Blake believes humiliating him by forcing Charles' daughter to become his mistress is the start of his plan for revenge. Victoria Ashton knows there's no other way out of debt than to go with Blake and be his mistress. Otherwise, she and her family will be sent to the poor house where she knows her mother and brother won't survive. Unknown to anyone, she does have a secret stash of money from stock investments, but even that won't be enough to buy them out of the debt owed to Blake. I recommend this book to romance readers who like "a dominating hero." Everything in the tone and language of this book reinforces the fact that the man is the one in power here. The author describes even inanimate objects as "dominating" the room, etc. This seemed really old fashioned to me. I like a strong historical hero who has modern notions of equality between the sexes, so this dominant male thing wasn't my cup of tea. The writing was good and the heroine didn't really seem weak, I suppose she just liked the idea of an overpowering man in her life. These two both do some pretty bad things to each other. Blake generally treats Victoria like a possession and of course he's immediately sorry afterward. Then Victoria spies on Blake for her father, which leads to all kinds of problems for him financially. But he instantly forgives her because he thinks of her betrayals as clever. My favorite character was Victoria's brother, Spencer. I just love a cute, hapless sidekick. Spencer was always in trouble, mostly from gambling, but I couldn't help but love him just like Victoria did. She always helped him out of his debts and he was her only confidante about the stock trading. Bottom Line: This book was well paced and I loved Spencer, but the two leads weren't nice enough to each other for my tastes. "The Wish Stealers" Contest Winner!! Congratulations to Lindsay at Crazy Books & Reviews!! There were 39 total entries after all the extra entries (one had to be deleted b/c the contest was for followers only, sorry!!). The magic number using true random number generator was 25-Lindsay! 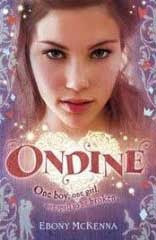 "Ondine: The Summer of Shambles"
This is a brilliantly witty fairy tale with a mystery that is as surreal as it is sinister. One girl. One boy. One spell to be broken. 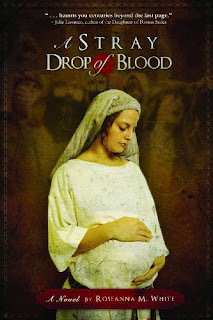 Ondine de Groot is a normal fifteen-year-old who lives with her family in the European country of Brugel. She has a pet ferret called Shambles. But Shambles is no ordinary ferret...He's Hamish McPhee, a boy cursed by a witch. A witch who happens to be related to Ondine. When Shambles turns back into Hamish temporarily, Ondine knows that she has to help him break the spell. He is the most gorgeous boy she has ever met and her one true love! He just can't remain a ferret forever. Can he? 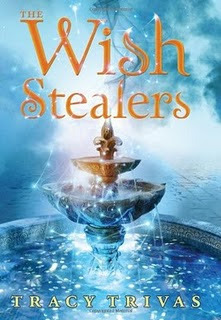 Don't forget, today is the last day to enter my Giveaway for "The Wish Stealers!"! !